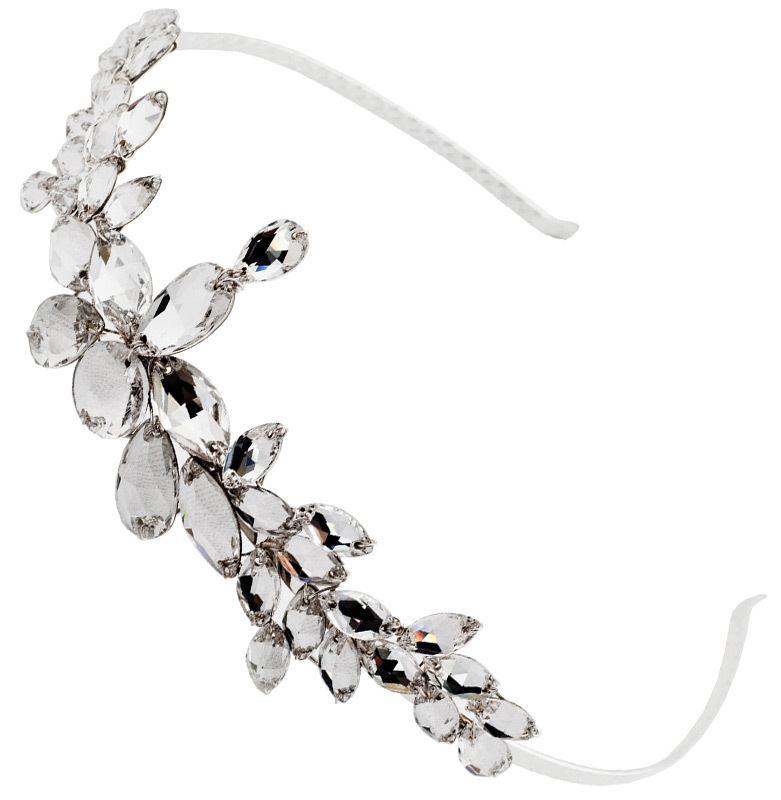 A classically designed headband created with 39 flat Swarovski crystals entwined with Silver plated wire over a silver plated band. Beautiful and elegant the Kari headband is a timeless piece that is perfect for most hairstyles with is symmetrical beading and could very easily be worn for other special events. 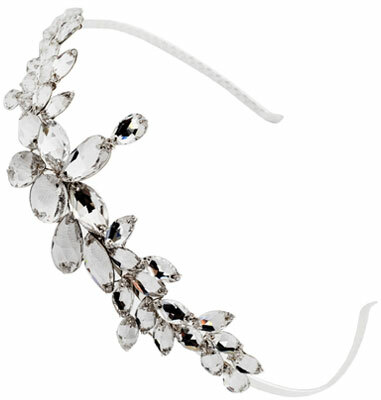 Can also be worn either way around to create a different look, or alternatively can be created as a side headband so the centre crystal sits along the hairline parting.